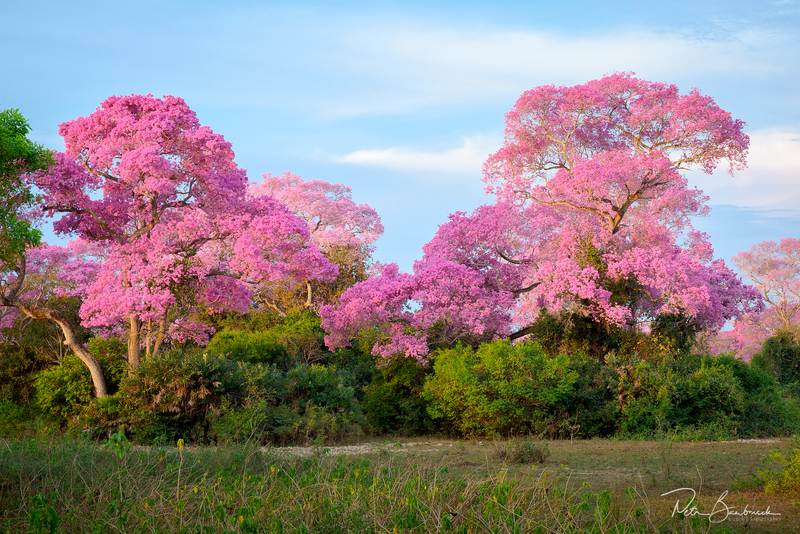 Seeing the Pantanal in full bloom was my only wish when I was planning last year for this year’s trip. Having consulted this with the owner of the local hostel we were staying at, I knew that it will be a huge gamble to coincide my trip exactly with the time of the bloom. According to him, the local Piuva trees only flower for about 10 days every year giving us a window from any time in June to September. Some years though, these trees don’t flower at all. In the end, my opting for the end of August proved as the most auspicious. The pink trees contrasted by the local lusciously green countryside created indescribably unreal mosaic visible straight after our landing there and despite us having another 3hour journey to the Pantanal ahead of us, I simply couldn’t believe my eyes that we were so lucky. Well, to cut a long story short, straight after our checking into the hostel it was more than obvious that we succeeded. We arrived right on time for the second part of the Piuva blossom season when one half of the trees’ buds were in full bloom, and the other half was gradually withering. As it was impossible to plan ahead for how long this beauty will last, over the first few days we tried to make the most of it. It was especially enjoyable thanks to an unexpected gift in the form of an overcast sky allowing us to shoot practically all day long. The end result was fairly impressive. 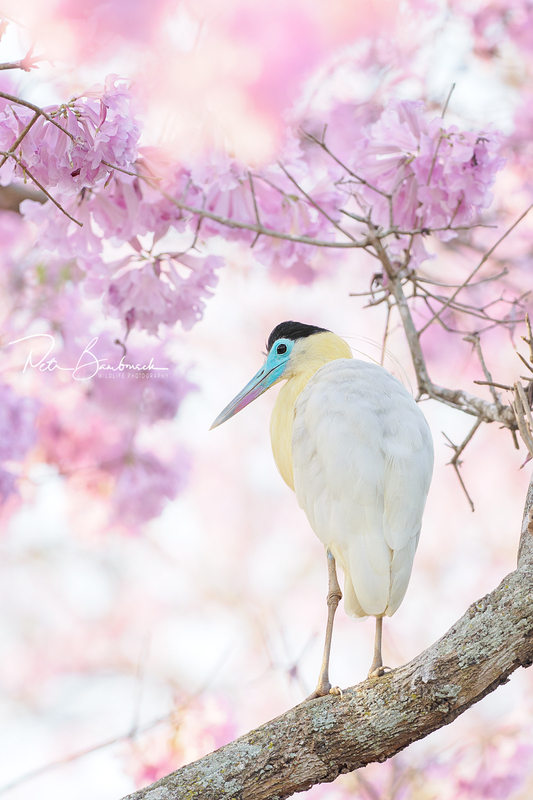 Over the three short days we had a chance to photograph over 80 different species most of which were in combination with various shades of pink surroundings (technically, I believe the correct term is ‘lilac’ but pink works here so much better, right?). On top of it, we regularly had anteaters and tapirs visiting the vicinity of our hostel or even the hostel itself. Tapirs would come exclusively at night, whereas the anteaters would pay us a visit even during the day. Unfortunately, we were mostly out at that time. 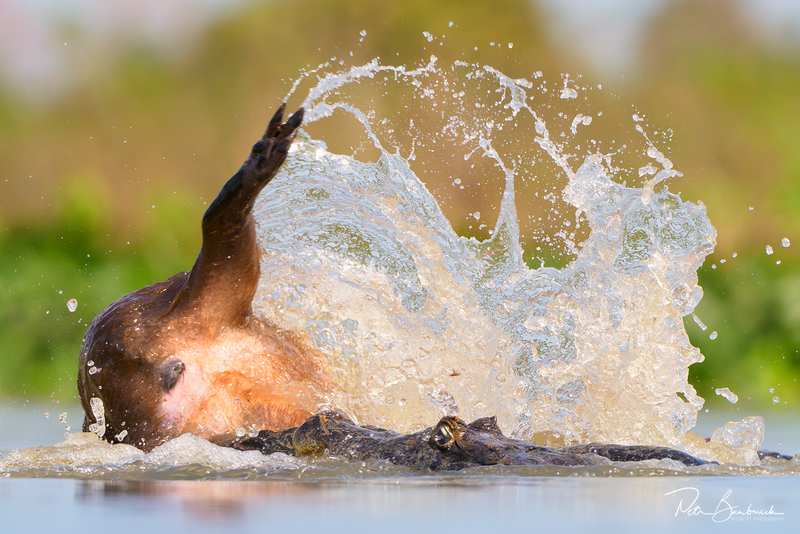 So we planned on waiting for them the next time, but as we all know – ‘ifs’ and ‘next times’ – are not the best friends with wildlife photography. And so we are practically still waiting for him. Thankfully, there is always plenty of other subjects to photograph near the hostel. This one night, for example, all 25 guests that were accommodated got up from their chairs and decided to accompany an incredibly tame anteater back to the wild. Sadly, it was near impossible to take any decent shot as all of the guests used their torches to light up the path for him. As a result, a conventional photograph was out of a question. So I took vantage of the light and shadow spectacle inflamed by a single torch light from the back hoping to create a simple silhouette. Well, the idea was quite good. However, the actual realisation not so much. Regardless of being helped by one photographer from my team and a local, the anteater seemed completely oblivious to my intentions making him famous, and instead of careless roaming, he kept constantly sniffing me out. In the end, I managed to capture one shot I’m happy with. 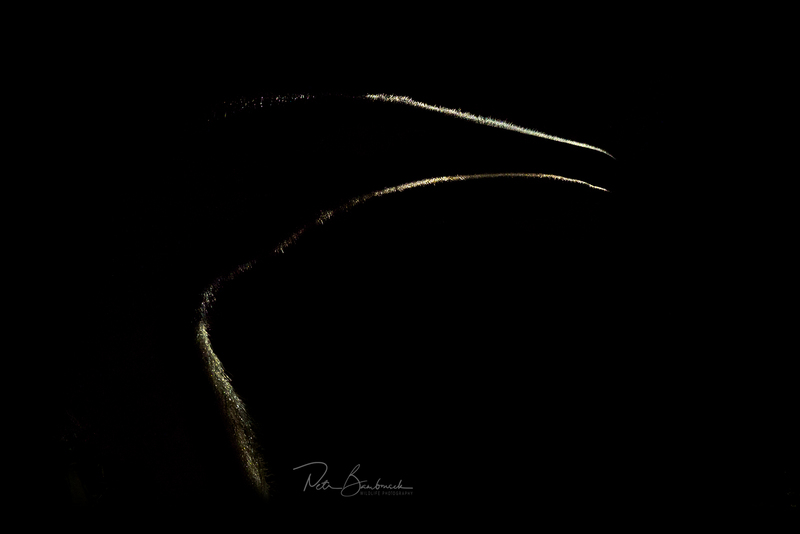 Altogether I have about 5 shots of anteaters for which I’m eternally grateful as they are such amazing animals. We spent the next leg of our trip by a river that offered a slightly different range of animals bringing our total of sighted birds up to 115 species. We were lucky enough to have our own boat which we used daily for our trips. Soon we had plenty of shots of kingfishers, anghingas and even river otters that loved hiding from us in the undergrowth close to the river bank. But patience paid off, and we were endowed with a fleeting opportunity to take closer shots. Our local guide and a captain in one, was instrumental in attracting kingfishers and other birds of prey that specialise in fishing. 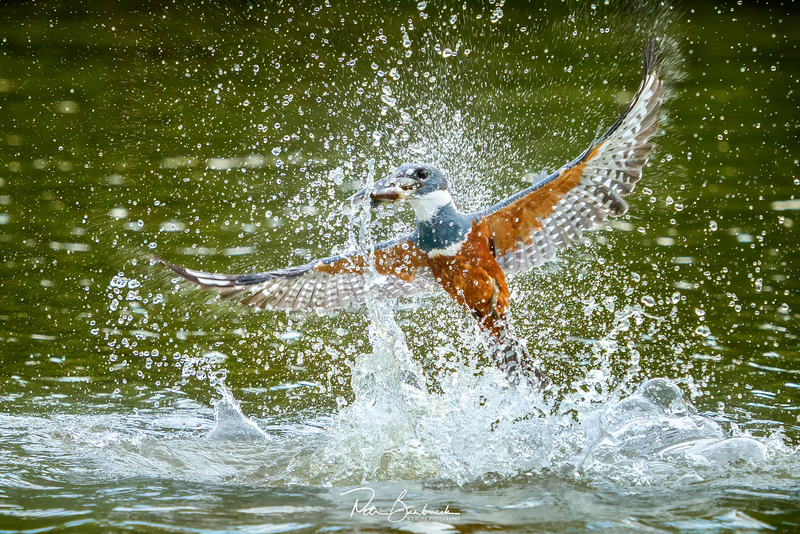 Sometimes it all happened so fast that we merely got a glimpse of a fish barely touching the water before it is snapped by some bird disappearing in the rainforest. After a while, though, I believe we all managed to immortalise the right moment and we all should have on our memory cards at least one shot with a splash of water. This location is also well-known for nesting jabirus. I was lucky enough to take a wonderful picture here last year with their nest contrasted by the Milky Way in the background. This year, the night sky was overcast during the entire first week of our stay. And besides, originally I did not even intend to set off there again at night in search of the nest. However, there was a storm one evening and the lightning kept stricking very near us. I weighed over my options for a while and set out into the dark to capture the lightning. The storm, however, was already receding and my attempts didn’t bear much fruit. Then the storm made a U-turn. 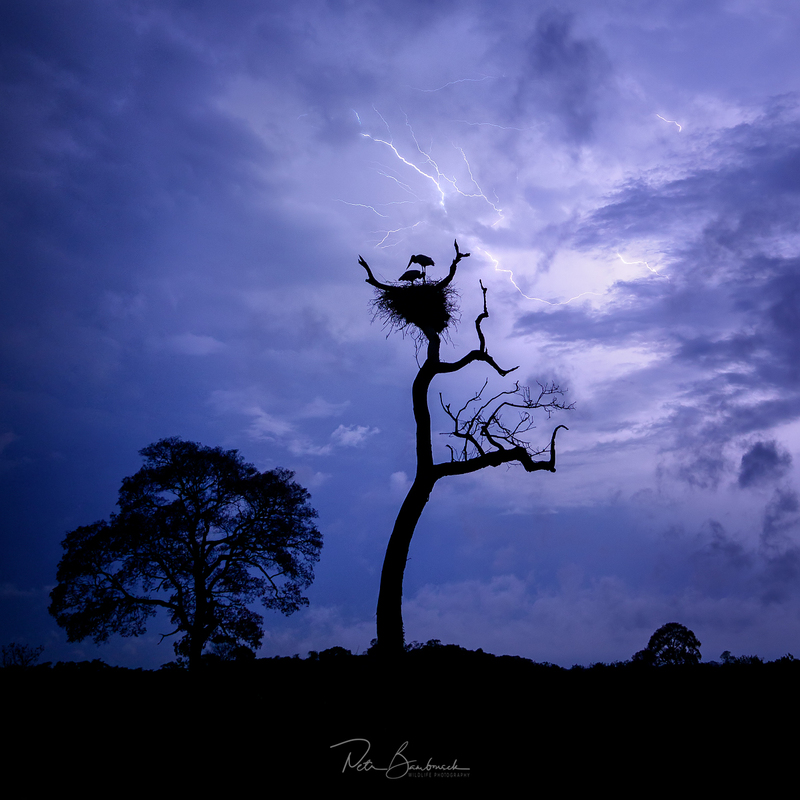 As the storm started to come back and the lightning intensified, I was standing on a 12m high lookout platform that is used to observe the nesting birds. It soon occurred to me that I couldn’t have chosen a better location for being struck by lightning. Perhaps, I could’ve improved my chances only by wetting my finger and sticking it out high above my head. Hurriedly, I decided to leave the lookout tower and the whole field altogether. I stood there for a while mere meters away from the lookout watching the storm, realising I didn’t help myself much. I tried taking some shots nonetheless and again ended up with nothing else but a picture of an illuminated nest. “One more and then I’m gonna go home”, I told myself. For a long time, the sky was dark until it was lit up by an intense lightning followed by a massive thunder. This was enough for me and I started to dash home to safety. Before I could check my card if it was all worth it, I had to calm down though. Phew, that was quite a stupid idea, but luckily, it worked. I was very worried that after this first effervescent week, packed with so many different animals and flowers, there won’t be much more to shoot for the rest of the trip. The last leg of our sojourn in the Pantanal couldn’t be more different. All the flowers completely fell off from the trees and we got hit by unbearable heatwave of around 40°C. Suddenly, due to the heat and constant sunshine, the only time we could photograph anything got shrunk to the first two hours after the dawn and about an hour before dusk. Even all the animals happily complied with this arrangement and were hiding during the day. Admittedly, we were incredibly spoilt the first week of our stay, having encountered over 115 species. However, despite the number of encounters stagnating slightly in the second week, we still had plenty to observe. Above all, we could actually spend more time with the individual species. We visited very active skimmers and cormorants and everyone had a chance to see something that the others didn’t. Later, I will hopefully write up a separate account of my meeting with a caiman and a capybara. However, for now, this one picture of a 6-hour-long process will have to suffice. During this week also, the landscape was transformed by a new element – light. Finally, we could admire incredible sunsets, enjoy the warmth of the first morning light and to glee of my fellow team photographers, we could delight even over a night sky full of stars and shoot after the dusk. To sum up, I’d say this year’s Pantanal exhibition exceeded all our expectation. We were able to photograph Hyacinth macaw and over 120 other species of birds including a few species of owls, herons or kingfishers and let’s also not forget an indistinguishable number of different Kingbirds. On top of that, we saw capybaras, caimans, anteater, tapirs and an ocelot. Astonishingly, I came home with 8000 photographs, which is partly thanks to using a superfast continuous burst mode several times. I will use these photos for my future workshops and talks. 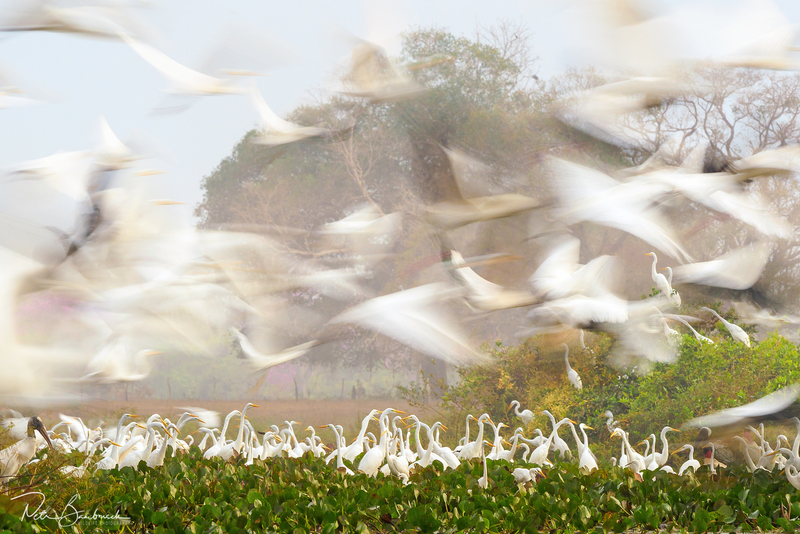 Pantanal is definitely an addictive place and after several years of self-denying, I just cannot get enough of it. Next time, I’m hoping I’ll maybe even see a jaguar. As far as my photo kit from Olympus goes, I can safely admit that its testing days are over. 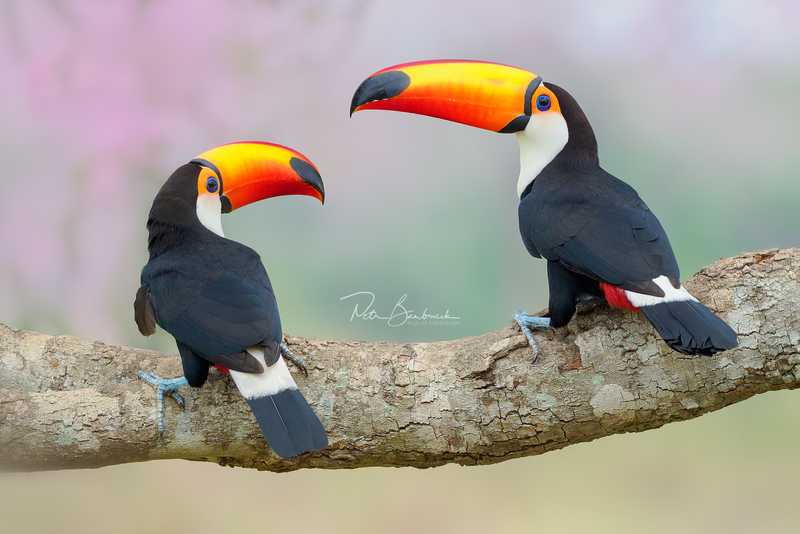 During this trip to the Pantanal, I used the camera to its full potential without the need to experiment with any of the settings (as you can read here). Just out of interest, looking into my EXIF data, I can conclude that I used ISOs 200, 320 and 640 the most. This is mainly thanks to the fact that the Pantanal is a wide open landscape where there is no need to push your ISOs to the highest sensitivity. Most of the shots were taken with my M.Zuiko 300mm/4 IS lens that I occasionally combined with a converter. I held everything that was above 1/5s in my hand and only used a tripod during the night time. The inner stabilisation processor again did its wonders. We came across an impressive amount of ticks during the entire length of our trip. One colleague of mine managed to collect 26 of them during one single daytrip. It didn’t help that we often lay on the ground to gain the best possible angle. Inexplicably, the ticks avoided me and I later realised it was only thanks to my ability to change the orientation and angle of the monitor on my camera, so I didn’t have to lie down. As I mentioned previously, every now and then I used the ProCapture H mode for some action shots enabling me to take up to 60shots per second and even save 14 shots before pressing the shutter button. The result is that I ended up with several series containing almost a hundred photos to choose from. When I sift through them all, most of them will most likely be deleted or will be used in lower resolutions for my talks and workshops. When I was shooting the lightning mentioned above, I used the Live Composite function that made the whole process really easy. At the moment, I can’t think of anything else to say about the camera and its settings that I didn’t say before. The Olympus served me well and satisfied all my anticipations. Check out my 500px gallery where I regularly upload my newest photographs as well as my Facebook profile. These are truly stunning shots, thanks for sharing them with us! 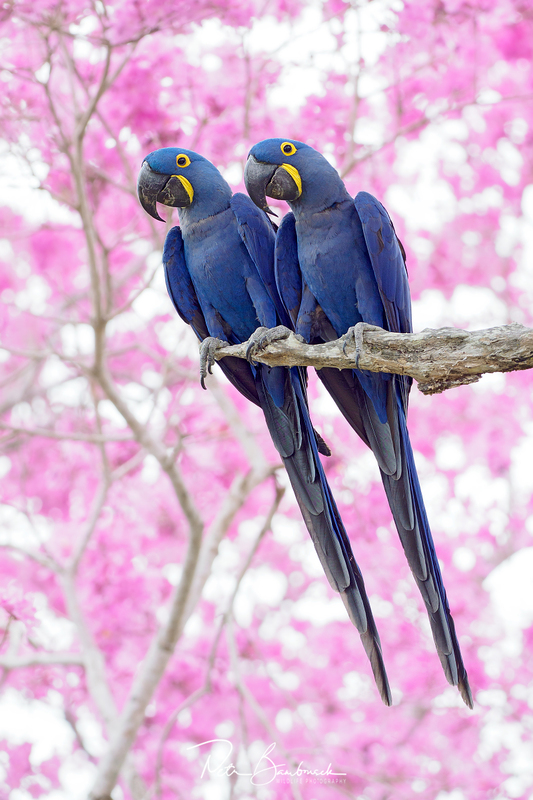 I didn’t really expect to visit Brazil before seeing these shots during the blooming season, but now I’m interested. Don’t you just love the live composite mode? I’ve captured some stunning shots of lightning from our rooftop just using that. This and Pro-cap are simply magic features that I can’t believe more photographers aren’t raving about. Nice reading and truly great photo’s! You convinced me with this page that (as an amateur) I don’t need to go ‘full frame’. Was a little bit insecure because all of the FF is best talks on DPR.